Storage, like every smartphone spec nowadays, is constantly improving. With the launch of the Samsung Galaxy S10 Plus, we even saw the release of the first phone with 1TB of internal storage. But is all that space really necessary? This is why last week we asked you how much storage you really think is needed, and the results are in. For our readers, 64 GB is plenty! Storage is often a personal preference which depends on how you use your device. However, there is an argument to be made that almost no one will ever fill up the 512 GB or 1 TB options that are available on some current flagships. Our readers seem to agree. Just 6 % of you thought that 512 GB is necessary and even less jumped on the terabyte bandwagon started by Samsung, which received only 3% of the vote. However, one of our readers, Ann B Nash, owns exactly this version of the new Galaxy S10 Plus. They shared that they don't regret buying it because they are already using 122 GB of storage thanks to photos, videos and files. Nevertheless, Ann is in the minority. With 31 % of the vote, 64 GB is the most popular storage option, followed closely by 32 GB with 25%, and 128 GB with 23% of votes. Unsurprisingly, 8GB just doesn't cut it nowadays, as can be seen from the 1% of the votes this option got in our poll. 16 GB is not very popular either. Vijay's comment explains why this is the case: "I currently have 11GB of the 32GB free, so I would be comfortable with 64GB storage. This 11GB would be zero if I added my music files to it." Regular Sorin also chimed in, bringing up a good point: "If you need more storage, you have the microSD card available. As well, cloud solutions can be used for storage, with Internet access speeds now at very high levels." We can definitely agree with him. What are the files that usually take up the most space on our smartphones? For most users those are photos, videos and music, although for gamers and app hoarders, applications might be eating away at space too. However, with the popularity of cloud services, the storage offered by Google Photos and music streaming apps like Spotify, terabytes of storage are not really necessary. 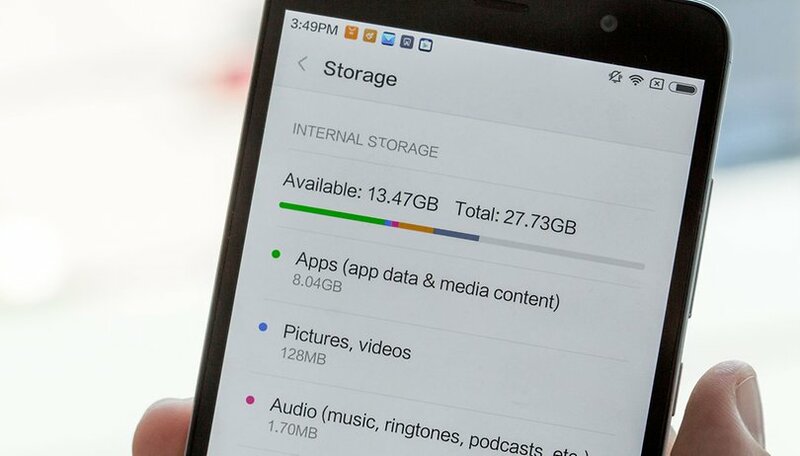 What is your opinion on smartphone storage? Do you agree with the poll results? Let us know in the comments. Even for the most heavy users, mainly those who store a lot of media files on their smartphones particularly movies, or capture photos in Raw, or record a lot of 4K videos, or play a number of heavy titles, 256 GB should be more than enough. 512 GB is overkill, and 1TB is straightly insane. For most, 64 GB to 128 GB storage is enough by a large margin. 128 GB for slightly heavy users and 64 GB for most of us. This could change drastically though for a lot of people if things go in the direction of the "crazy" 12gb ram 1tb Samsung phone people are talking about. Phone desktop mode could be really useful to a lot of people if it is implemented properly. Wish more phones would provide the option of adding a storage card along with dual sim instead of choosing between a second sim or storage. yep...have 32gb w/ 64gb SD card...out of 96gb total, I'm using only 22gb. Totally agree that 64 GB is adequate. I currently have 128 GB of storage and have only used 52 gb of it and most of it is pics and videos which I could off load to free up almost 20 GB. Amen to that. Even with a ton of music loaded, I barely scratched 20GB.